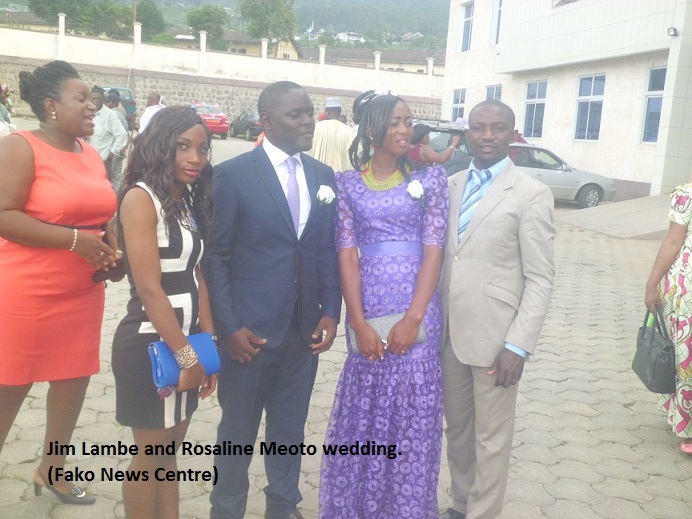 Jim Jabea Lambe from Great Soppo and Rosaline Enjema Meoto from Vasingi all in Buea were on Saturday May 30th 2015 united as husband and wife at the Buea Municipal Council. 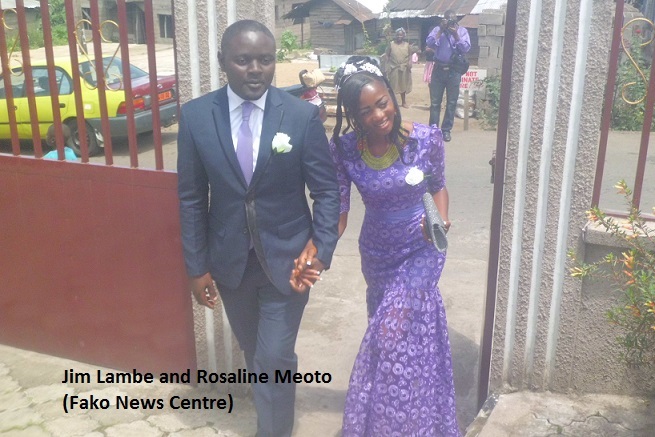 The young couple took marital vows to love and keep each other in times of happiness and sorrow and to cherish each other as long as they live. 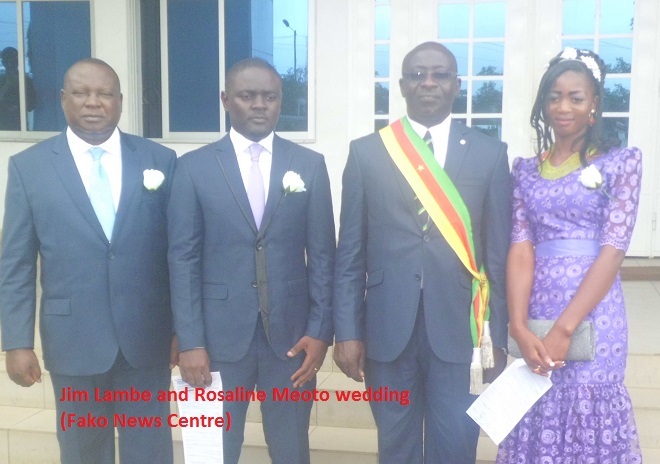 The II Deputy Mayor of the Buea Council, Lyonga John Efande, who officiated the ceremony reminded them and other couples who wedded on that day that marriage is not a bed of roses but they can make it suitable if they live to trust and respect each other. 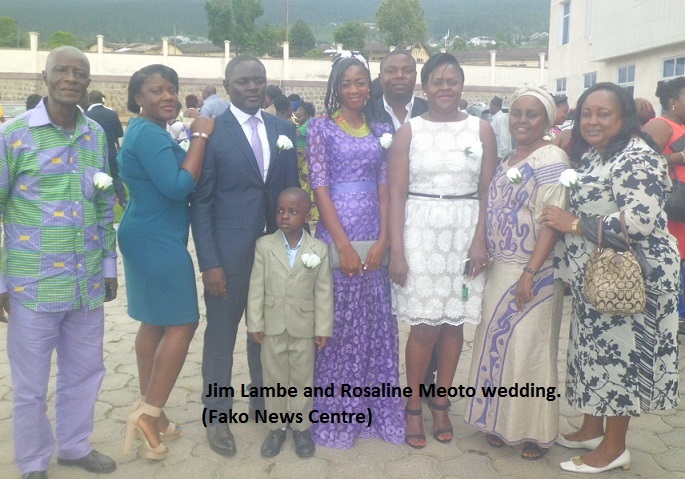 At the refreshment ceremony that took place at the Buea Mountain Hotel, the chairperson of the ceremony, Mola Francis Ngundu Mokomba, advised Jim and Rosaline to go an extra mile in fulfilling their marital obligations. The uncle to the bride, Hon. 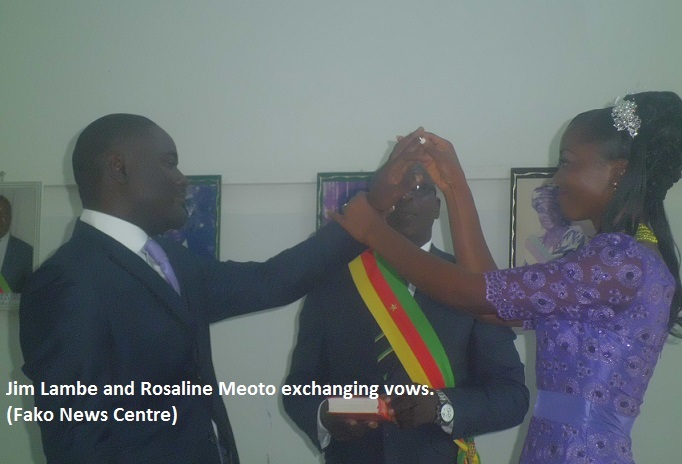 Paul Njie Meoto, advised the new couple to avoid any third party in their relationship and to look up to God in times of difficulties. 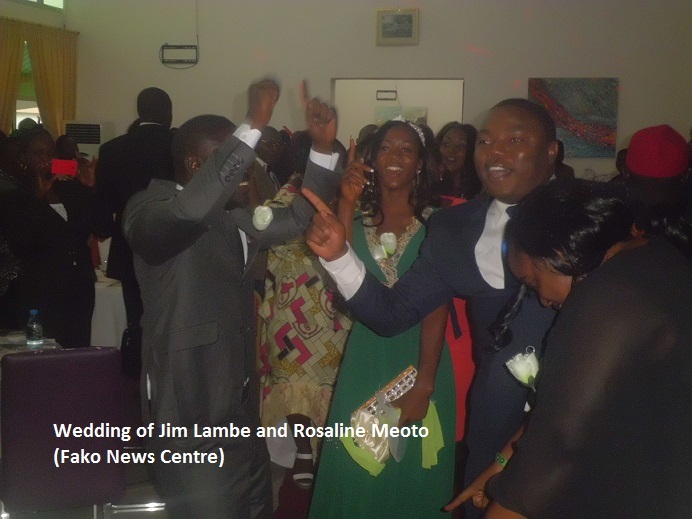 Expressing satisfaction during the occasion, Jim’s best friend, Mola Moki Mokondo, told the population that he was very happy to see that his friend has followed his footsteps to get married though many young men shy away from it. Mola Moki Mokondo explained that Jim is his best friend but many know him as his junior brother. 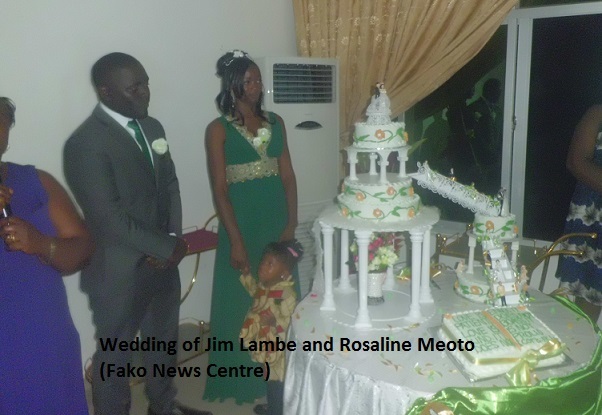 He noted that Jim was his Best-man during his wedding and all he had wished Jim all this while was to see him get married too. 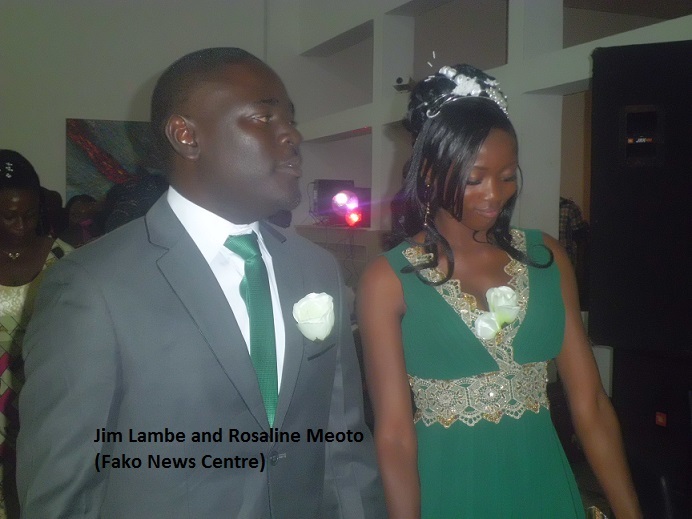 “So seeing Jabea today taking the relay to marry Enjema is to prove that I have succeeded because I worked with my wife who is also called Enjema to endorse this wedding”, Mola Moki Mokondo concluded. 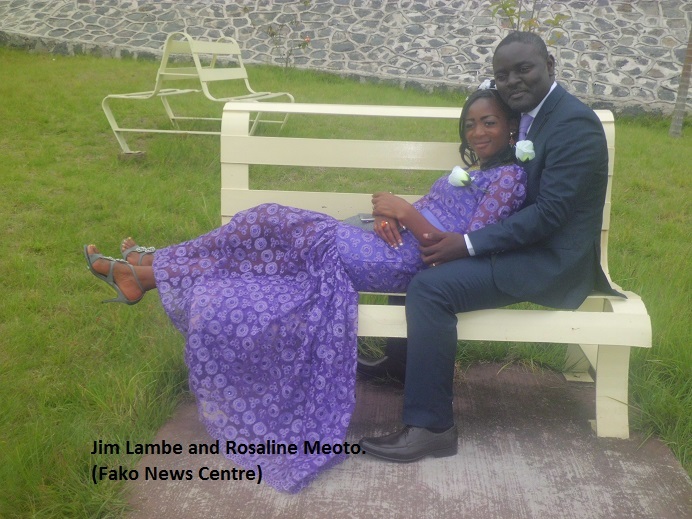 Jim works with the United Parcel Service in Douala while Rosaline works as assistant marketing manager at Mountain Hotel, Buea.